Home Business & Finance What is the Highest Credit Score Possible? Perhaps one of the single most important parts of your financial life, a credit score is a number assigned by a recognized credit reporting agency based on background financial information to demonstrate your creditworthiness. If you have ever applied for a mortgage, car loan, or even a credit card, then you fully understand how crucial a high credit score can be when becoming approved and landing a better interest rate. But, what is the highest credit score possible? Well, in short, there is not one universal credit score because there are actually two main credit scoring formulas that score credit reports using a completely different model. 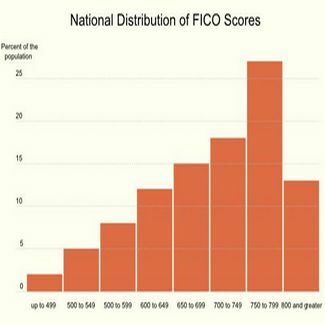 As the most well-known and widely used in the industry, the FICO score was developed by Fair Isaac Corporation as the gold standard for credit scoring. According to this model, your credit report is analyzed in the five key areas of payment history, debt, length of credit history, new credit, and types of credit. While the lowest FICO score is 350, the highest possible credit score you can obtain in the FICO model is an 850. On the flip side, there is also the VantageScore, which was created by the three credit bureaus of Equifax, Experian, and TransUnion. Unlike the FICO score, the VantageScore is calculated based on six main components of payment history, utilization, balances, depth of credit, recent credit, and available credit. Within the VantageScore model, the highest possible credit score you can receive is a 990 and the lowest possible credit score is 501. Therefore, achieving a VantageScore between 901 and 990 is considered to be an excellent credit score and demonstrates an exemplary financial record. If you are still struggling to improve your financial credit to obtain a higher credit score, make sure you concentrate your efforts on having a good mix of credit, including credit cards, mortgages, car loans, and student loans, to show your creditworthiness. Also, ensure that you avoid maxing out credit cards and keep balances below 10 percent whenever possible. Instead of cancelling old credit cards, it is actually wise to keep many various accounts open and use them occasionally to give your credit score a boost. Financial experts suggest that you carry an average of seven credit cards and four open credit accounts with balances for the best credit. Although we all shoot for their stars and want the best, it is important to realize that reaching the highest possible credit score of 850 or 990 may be out of reach from the vast majority of individuals. In fact, many experienced loan officers indicate that they have never even seen a loan applicant with a perfect credit score before. Ultimately, while you may not be able to achieve the highest possible FICO score or VantageScore possible, it is recommended that you focus your energies on having a score in the high 700s or low 800s for easy loan qualification and the best interest rates. What’s the Difference Between a Credit Score and Credit Report? Does Checking Your Credit Score Lower It? How Much Do Loan Officers Make? When Referring to Student Loans What is a Grace Period? What is a Reverse Mortgage and How Does It Work? How Much Is Amanda Bynes Worth? How Much is Kevin Hart Worth? 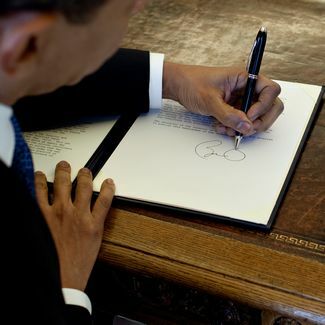 Why Are Some People Left Handed?